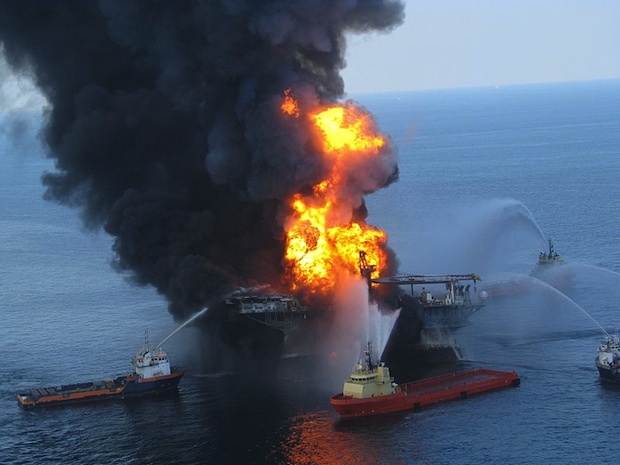 Nobody wants to see a repeat of last year’s Deepwater Horizon oil spill, which saw approximately 4.9 million barrels of oil dumped into the Gulf. The whole thing could have been avoided, of course, if the Deepwater Horizon drilling rig hadn’t exploded in the first place. It’s too late to fix the Gulf disaster, but future oil spills could be prevented with a little help from Intel. During this year’s Research@Intel day, we had a chance to look at the company’s experiments with strapping sensors to offshore oil rigs–all as part of an attempt to make sure workers can accurately monitor systems and get the information they need before the next disaster strikes (and the next $350 million rig blows up). 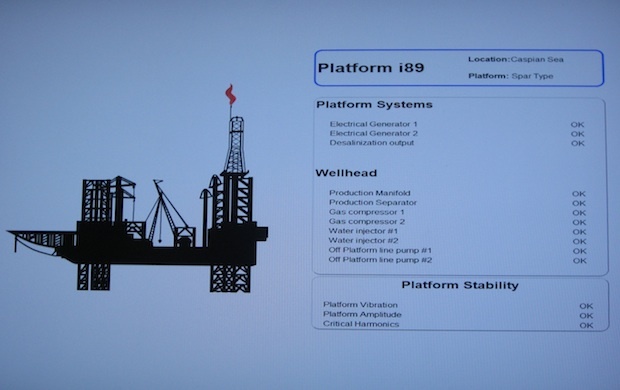 Here’s how it works: Oil companies can attach sensors to an oil rig (pictured) and monitor their status via low-power Wi-Fi. When an oil rig shakes, for example, that information gets instantly uploaded to the cloud, where it is combined with other sensor-based information to produce a bigger picture of an oil rig’s health. In one month, Intel’s sensors on one rig can produce as much data as all the movies ever made. “We’ve never had access to that kind of info that quickly, ” says Intel researcher Terrance O’Shea. Producing that much data could generate information overload for workers–but O’Shea says that Intel has also developed proprietary visualizations that make it easy to sift through. Intel’s oil rig sensor system is already undergoing testing. Here’s hoping it gets commercialized before the mass deployment of oil rigs into the Arctic.